or at the Interpretive Center in Republic, so that you can participate. Member Work Party! Join Stonerose’s own Gregg Wilson, “3G”, for a morning of protecting the “Corner Lot”. The Corner Lot is Stonerose’s original fossil site, located across from City Hall. 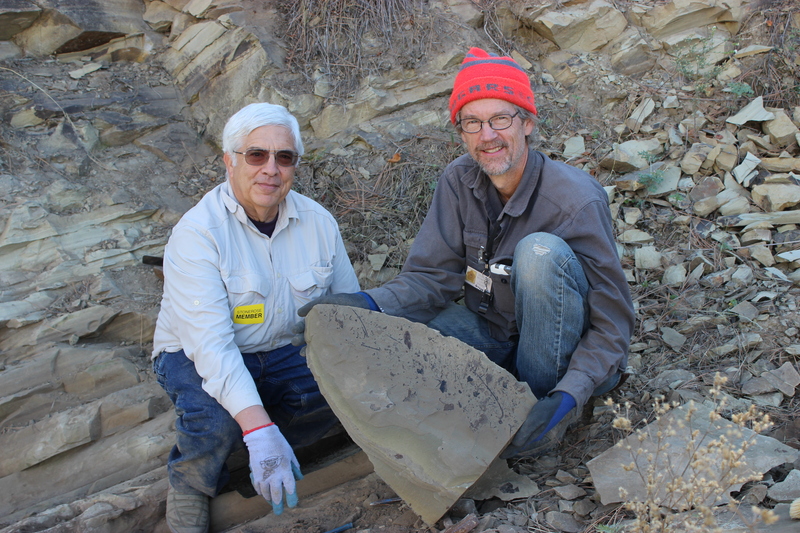 It is rich in primarily insect fossils, and it doesn’t get the activity that Boot Hill gets in the way of quarrying. This lot is owned by the City of Republic, but Stonerose has committed to protecting the site because of the treasures that may lie beneath. Gregg is asking for help filling sandbags, and taking other measures to protect the site for the future. 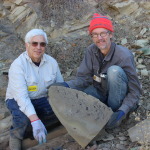 There will be time for some “flip and float” hunting, and you will be able to keep three of your finds from the site, after Dr. Archibald, our visiting paleoentomologist, inspects them. The work party is scheduled for Saturday morning, April 27, from 9 am until noon. Participants must come sign in at the Center before proceeding to the Corner Lot. There is no cost to join this 3 hour work party, however donations are gratefully accepted.